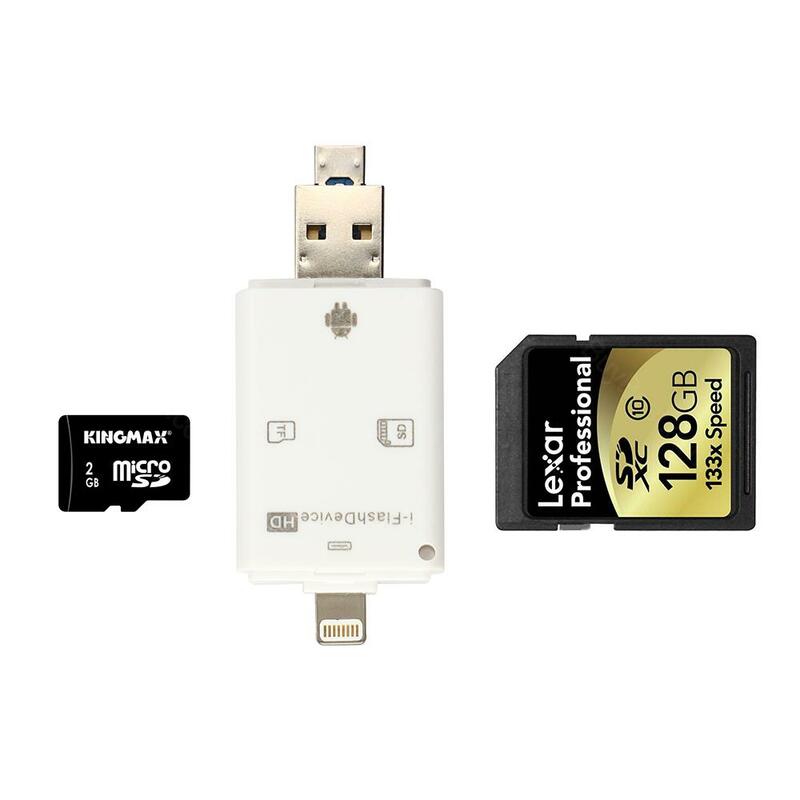 The 3 In 1 Card Reader can be used with IOS6/IOS7/IOS8/IOS9/SD Card/TF Card. Multifunction gathers in one portable device. The 3 In 1 Card Reader can be used with IOS6/IOS7/IOS8/IOS9/SD Card/TF Card. Multifunction gathers in one portable device. Best accessory ever! • It doesn't come with TF/FD card, you need to buy separately. • Quick link: TF Card. What can you say about something like this? It works, and it was priced to sell. 5-stars. Very handy tool to have on my desk. I do wish the cable that connected it to the computer was longer seeing how my desktop tower is on the floor and has to reach up to my desk. But that's my issue not the devices. Works great. Because the memory stick purchased was wrong i was going to return this item. Later decided to keep it and not return (contacted seller about decision to keep) works great! Has come more in handy then actuallu expected glad i kept it. Works great with my IPHONE 7S, shooting Real Estate photography with my Sony A99 and download from my card on location to customers. Works faster and smarter than my Eye-Fi card. Just perfect to use on my computer to get more memory using a micro USB, without it sticking out and possibly get broken.